Get every bushel out of your soybean acres by reducing weed seed at harvest. You’ve worked hard this season to keep your soybean fields free of unwanted weeds, so you deserve to get every possible bushel out of your acres. However, in light of China’s tightened weed seed import restrictions, you’ll need to be extra vigilant about what goes into the combine this season. 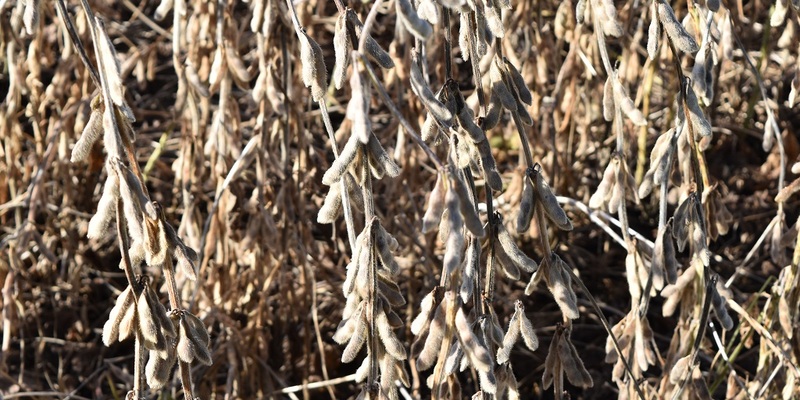 Avoid harvesting soybeans that are located in areas that are densely populated with weeds – the risk of spreading weed seed is likely not worth the bushels you might get from that area of the field. Adjust your combine’s cutting height settings to minimize the amount of weed seed that is harvested. Consulting your combine provider will help determine the right height for your field conditions. Regularly clean your farm equipment between harvesting different fields to avoid contamination from weed seed. Destroy all weed seed that is left in the field after harvest to prevent it from entering the soil seed bank. Burning weed seed is a common way to get rid of it. Examine soybeans for weed seed upon arrival. Separate weed seed from soybeans through mechanical cleaning or other means. You might also want to consider using a harvest aid like Gramoxone® SL 2.0 herbicide to keep the combine running smoothly by desiccating weeds. Taking these preventive actions to minimize contamination from weed seed will help ensure the hard work you’ve put into this season pays off, and will help prevent weeds from growing on your farm in the future. To learn more about managing weeds while preventing resistance development, visit ResistanceFighter.com.